Before Evelyn was even born, I knew if we wanted to do a significant amount of traveling with her, we would need to invest in some good travel-friendly baby gear. And the first piece of that puzzle was a portable travel crib! It couldn’t be too bulky, but also not too flimsy. Something that could be easily transported, but also comfy enough for many nights away from home. In other words, it needed to be juuuuuust riiiiiiight. I thought I did my research then, but didn’t fully realize just how many options were out there! We lucked out picking a great one (read on to find out which! ), but with 2 years of baby travel under our belt, I’m already thinking of new possibilities for baby #2. With so many different options on the market, there really is something for everyone’s different needs and travel style. If you’re looking for a solid travel crib for your baby’s travels, you’re in luck! 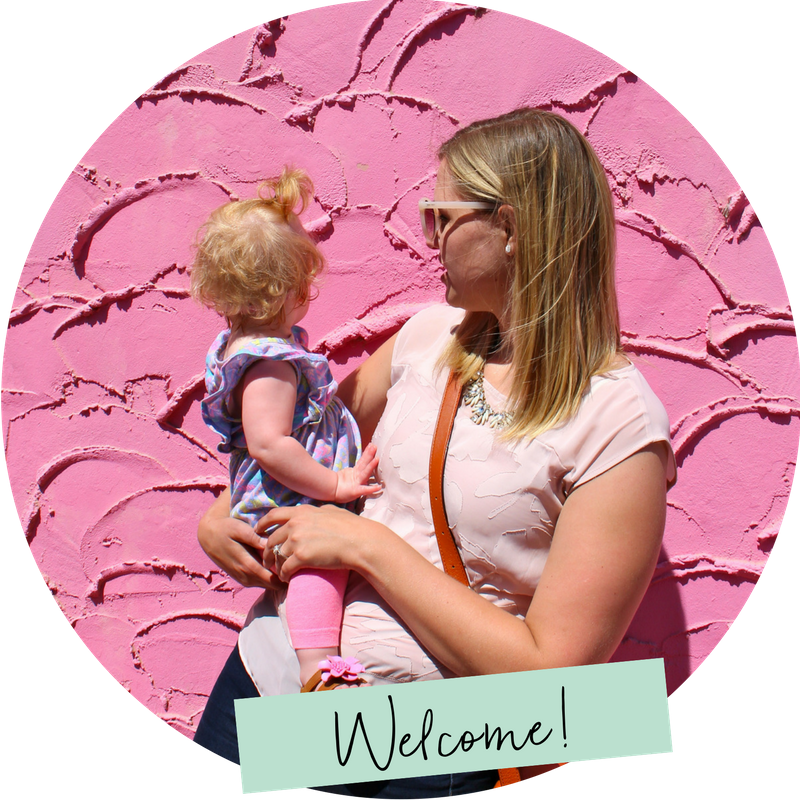 I’ve put together a round up of the absolute best travel cribs for baby, tested and well-loved by fellow traveling families! Why Parents Love It: For newborn babies not yet requiring a full travel crib, the Brica Travel Bassinet is super lightweight, easy to carry (it folds flat into a carrying case with handle) and is at a price point that matches the small window of use you’ll get out of it. Parents also love the breathable mesh sides, which allow you to peek at baby without distrubing them. Good to Know: Some parents noted they felt the mattress pad was pretty thin, opting to set the bassinet on top of an extra blanket. It’s also not a long term solution; babies do grow out of it rather quickly. Some parents admit to using it for up to 6 months. though it should be noted that it is recommended use be discontinued once baby can push themselves up or roll over. Why Parents Love It: With a little more structure and a softer mattress pad than the Brica, the Chicco Lullago snaps together in under a minute. The breathable mesh panels and clean design make it a winner style-wise. And the removable legs and bassinet fold up nicely into a large tote bag with shoulder strap. Good to Know: While the Lullago comes with a mattress pad, you will need to purchase your own sheets separately. These Ely’s & Co bassinet sheets fit perfectly. Some parents have also noted that baby’s sleep can be affected by a crease in the mattress that forms when folding it for storage. Recommended Age: Inclined sleeper for infants not yet able to roll over/pull themselves up. Play yard for children under 35″ tall. Why Parents Love It: Half the weight of traditional pack and plays, this ultra-light play yard serves multiple purposes as an inclined sleeper, travel crib/play yard and changing station all in one. Good to Know: What points this travel crib scores on being multi-purpose, it loses in portability. The play yard still measures quite large when when folded up into its over-the-shoulder travel bag. So while it’s well-loved for road trips or visiting grandparents, it’s probably not the best choice for frequent plane travel. Good to Know: With ultra-portability comes a little less comfort and structure. Some parents complain the construction is not as solid, and the mattress is thin, not always laying completely flat. Assembly can also seem a bit daunting a first, but follow a quick YouTube tutorial and you’ll have it up in no time. Recommended Age: 0-3 years, or until a child can climb out. Why Parents Love It: Full disclosure – we used this travel crib for 2 years and loved it! It’s a consistent winner with other parents as well, thanks to it’s super simple and intuitive set up: snap legs in place, turn over and done! It also boasts a thicker foam mattress than other travel cribs, and it’s slim design with angled legs means it takes up less space while still being relatively roomy inside. Those that have tried multiple travel cribs consistently note that the metal frame the most sturdy and solid of any on the market. Good to Know: The BabyBjorn travel crib comes with a large carrying bag that protects the investment well, but shaped like an extra large briefcase, it can be pretty awkward to carry around with your other luggage. Also worth noting – the mattress is made of a waterproof plastic, so a separate crib sheet is a must (we use this one). Why Parents Love It: Similar to the BabyBjorn, the Lotus has an intuitive set up that can be snapped together in minutes. It’s slightly roomier than the BabyBjorn too and boasts a zip open side for easier play. The carrying bag also gives it a real edge over its competitors, as it folds down to the size of a small rectangular box that can either be carried or worn as a backpack! Good to Know: Unlike the phil&teds or BabyBjorn, the Lotus also has the option of converting to a bassinet in the newborn stage (though that upgrade will cost you a pretty penny). Why Parents Love It: Finally, for older babies needing an extra portable option, consider the KidCo Peapod. The lightest and by far easiest option to transport, the Peapod folds down to the size of a window shade and can snuggly fit inside a 20″ carry on suitcase. Though it’s best set up on the floor, the exterior zipper ensures baby won’t be crawling around in the night. Good to Know: For safety reasons, the included sleeping pad snaps to the bottom of the tent (not the inside), making the sleeping surface a bit uncomfortable. We solved this by laying a thin blanket inside the tent, and setting it atop an extra blanket on the bottom. Also for safety, it’s not recommended that the Peapod be used for babies under 1 year of age, though many parents admit to using it a bit earlier than that. A final tip – be prepared to test it out before your trip. It took our almost 2 year old a few days to get comfortable with, but soon she was asking to sleep in her “tent”! Have you found any good sleep solutions for traveling with baby? Tell us your faves!